1. Lady Araminta ROBARTES, daughter of Lord John ROBARTES Lord Lieutenant of Ireland (1606-1685) and Letitia Isabella SMITH ( -1714), was born in 1660 (estimated). She married Ezekiel HOPKINS on 21 October 1685 in Derry, Ireland. 2. Lord John ROBARTES Lord Lieutenant of Ireland was born in [Julian] 1606. He was a Baron and of Truro, Lord Lieutenant of Ireland, 1st Earl of Radnor. He had the title 'Baron of Truro, 1st Earl of Radnor'. He died on [Julian] 17 July 1685. He married Lucy RICH. He married Letitia Isabella SMITH. Interesting Character: Certainly a diplomat being on both sides of the fence. 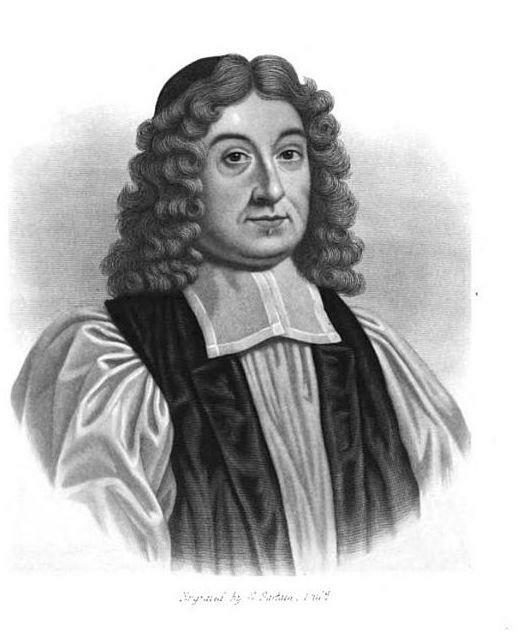 Robartes, Sir John\ [Danvers House] “… was let from 1660 to 1685 to John Lord Robartes, later Earl of Radnor, who despite having fought for Cromwell was able to entertain Charles II within months of the restoration. Samuel Pepys was also a visitor and ‘found it to be the prettiest contrived house that I ever saw in my life’….”. John Robartes entered Exeter College, Oxford as a fellow -commoner in 1625 and it was there that he developed his principles on church and state. With his marriage to Lucy Rich, daughter of the Earl of Warwick, he became allied to the opposition among the peers and in 1634 he succeeded his father as second Baron Robartes. During the Long Parliament he voted with the popular party among the Lords, although he refused the protestation. Robartes was made Lord Lieutenant of Cornwall on 28th February 1642. Lord Robartes' War and His Regiment. On the outbreak of the Civil War, Robartes, now firmly established as his county's leading Parliamentarian actively sought a command in Parliaments' Army and Lanhydrock was garrisoned. Robartes' own Regiment of Foot was raised as one of the twenty original regiments which made up the army under the command of the Earl of Essex. Robartes' Regiment left London on 7th September 1642 to head for the midlands. Following an army review at Coventry and the taking of Worcester, the army followed the King's army towards London and on 23rd October 1642 the armies met in the wars first major engagement at Edgehill in Warwickshire. Of eleven foot regiments present in Parliaments' army at the battle, four fled, but the other seven, which included Robartes', were said to have fought valiantly and helped stabilise the army when defeat looked imminent and manage to hold out for an inconclusive outcome. On 12th November, Robartes' Regiment along with Hampden's foot advanced to assist the hard pressed defenders of Brentford, just outside London, but as they arrived the parliamentary supply barge on the Thames was blown up and they fell back, leaving the Royalists to take the town. In December 1642, with the royalist cause in the ascendancy in Cornwall under Lord Hopton, the royalists raided across the Tamar into Devon cutting off Plymouth's water supply. The town's committee, now thoroughly alarmed for their safety, gave Lord Robartes command of the town and ordered the recruitment of troops to defend themselves. Plymouth successfully resisted these early royalist attempts at its capture, as indeed, it would continue to do throughout the war. In the early months of 1643 Robartes' Regiment were part of the army which, now badly depleted due to an outbreak of typhus, was laying siege to Reading. A muster role taken in February 1643 shows the regiment as containing 456 private soldiers. action at Stow-on-the-Wold on their way. on 20th September the army met the royalists in battle at Newbury, which despite some savage fighting ended in a stalemate. Lord Robartes himself commanded a brigade at Newbury with some bravery. His brigade managed to push Vavasour's foot back despite looking in danger for a while themselves. Late 1643 saw the army abandon Reading for Windsor for re-supplying and some fighting at Olney near Newport Pagnell. Lord Robartes was a member of the Committee Of Both Kingdoms from its inception on 16th February 1644 and it was to this committee he complained that his "ill paid" troops "are low on courage, but loud in complaint." May 23rd saw the army back at Reading as the royalists had abandoned it and Essex and Wailer were to plan the reduction of the King's war capital of Oxford. The King escaped from the city and headed to Worcester, prompting the armies of both parliamentary commanders to follow. Essex and Wailer parted company at Stow - on -the - Wold, Wailer to pursue the King and Essex to go to the relief of Lyme Regis which was under attack by Prince Maurice's army. On hearing news of the relief force the siege was lifted and the royalists retreated to Exeter. Essex's men continued westward taking Taunton, Tiverton and Barnstaple, who had expelled their royalist governor, Lord Robartes personally leading three foot and two cavalry regiments to secure the town. Next was to follow a great misjudgment by Essex and it was due in no small measure to Lord Robartes and his Cornish officers; Robartes' estates had been sequestrated by the King and handed over to Sir Richard Grenville, in fact for a while the Royalist army had camped on his estate and he was anxious that he might get his land and property back. The Crown Sequestration Committee noted Robartes had an worth £1,000 a year, "exclusive of his home and lands at Lanhydrock." It has also been suggested that Robartes, who was a friend of Sir Henry Vane, one of Essex's severest critics, might lead the Earl on a "fools errand" to discredit him, but this seems unlikely. It is certain though that Robartes persuaded Essex to move into royalist held Cornwall promising recruits for the army once the royalists were ousted. The idea may have appealed to Essex as this area of the country had long been considered the domain of his rival, Sir William Waller. On 26th July 1644 the army crossed the Tamar into Cornwall, however, disastrously for them the King's army had rendezvoused with Prince Maurice's army and the combined Royalist force pushed Essex back to Lostwithiel and defeated them at Restormel Castle and Castle Dore. Robartes had been sent on to secure the tiny fishing village of Fowey to keep communications open with Parliament's navy and it was from here that Robartes with Essex and his staff escaped by boat to Plymouth. The cavalry broke out, but the infantry had no choice but surrender. Given parole not to fight for Parliament until they reached Hampshire and stripped of weaponry and any decent clothing they were marched to Dorset under guard with great losses. By 7th September only 800 or 900 had made it as far as Portsmouth where the army refit was to take place, Lord Robartes wrote disconsolately on 4th October "of the Plymouth foot which went from hence, 1,000, there come to Lt.Col. Martin only 200." In fact muster roles in 1644 record Lord Robartes' Regiment as having 700 soldiers on 24th June and only 333 on 27th December. Robartes' Regiment would next be involved in the second Battle of Newbury, in which Parliament's Army, minus Essex who was ill, again let the King escape despite some spirited fighting. Their final action would be to repulse a royalist attack on Abingdon on 11th January 1645. Second Newbury was the final straw which prompted the formation of Parliament's New Model Army and Robartes' Regiment was absorbed into it. On January 15th 1647, Robartes along with North and Stamford were the three main voices in opposition to the Vote Of No Addresses, which effectively was to stop negotiations with the King. The three Lords thought it prudent, however, to absent themselves from the chamber when the Commons asked Fairfax to send 2,000 men to occupy Whitehall for the "protection of Parliament " and the bill was passed. After the King's execution, a period in which Lord Robartes keeps a low profile in Cornwall, it becomes clear that he is no lover of England's "new order" although he refuses to have any part in anti -republican plots. He does however, seem to be more at ease with the Protectorate than the Republic, his son even bore the train of Cromwell's purple robe on his second installation as Lord Protector. In 1620 Sir Richard Robartes, the son of a hugely successful Cornish moneylender, bought the old monastic manor at Lanhydrock, and began to build a traditional four-sided house around a central courtyard. After his death in 1634, the house was completed by Robartes' son, John, a sullen and difficult man by all accounts, who was a prominent Parliamentarian during the Civil War. For the next 335 years, many of the successive owners of Lanhydrock became MPs, and took an active interest in local affairs. "In turn an auction held in 1721 disposed of the manuscripts of John Robartes, the 1st Earl Radnor late Privy Seal to Charles II. Few have come to light since". 4. John SMITH has few details recorded about him. Smith or Smythe .... of Bidborough.